Did you know that more than half of couples who complete a remodeling project with a spouse or domestic partner admit to arguing during the process? And 3% even considered separation or divorce! 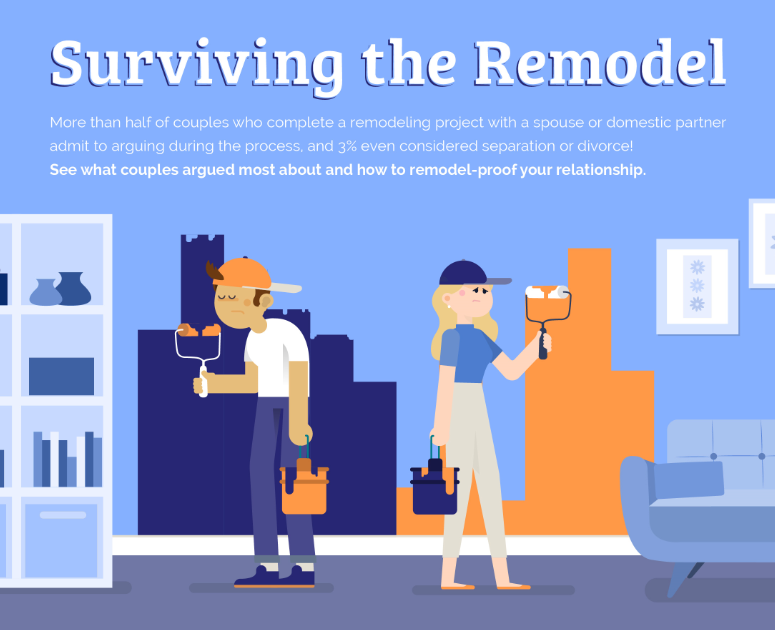 See what couples argued most about and how to remodel-proof of your relationship. Pro Tip: Communicate more with your partner and be respectful of the other person's perspective even if you disagree with it. Validate their opinion while verbalizing yours.